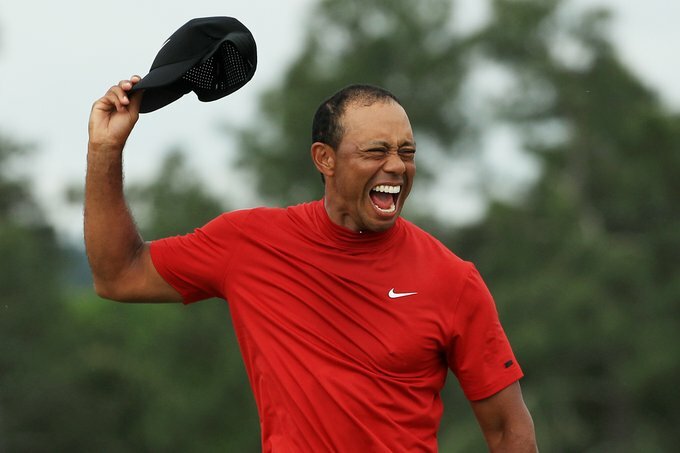 Tiger Woods’ win was the 81th of his career, but where does that leave him in his race to dethrone Sam Snead at the top of the list of all-time PGA Tour wins? One. Tiger is now just one win away from matching Snead’s tally of 82. ‘I’ve still got, I feel like, a chance to play some more golf and maybe I’ll keep chipping away at that number and maybe surpass it,’ said Woods after his Tour Championship win last year. ‘But I just think that what I’ve gone through and what I’ve dealt with, I’ve gotten lucky, to be honest with you. I’ve gotten very lucky. I’m not playing a full contact sport or I’ve got to move people around in that regard. At 42 years old with a fused lower spine, that’s not going to happen. Phil Mickelson (44), Dustin Johnson (20) and Ernie Els (19) are the next best active players after Woods.